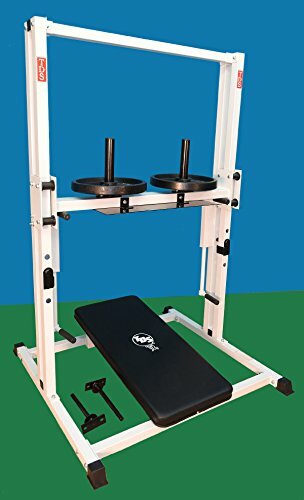 Top 11 Best Leg Press & Hack Squat Machines Reviewed for 2019! A home workout should equally be as productive as the gym sessions. But, for you to gain all the benefits of a gym setup, you need several machines in your home. This does not mean you cannot reach your fitness goals without the specific machines. But, for long-term and sustainable results, there is a need for the equipment. One of these is the leg press machine. How do you choose the best leg press machine for your home workout? This machine comes in handy to develop the strength of the thigh muscles. With the heavyweights, you can progress to managing a massive load for effective leg exercises. There are different styles of the leg press machines. Some are integrated into full-body machines while some come as single-function ones. The selection depends on your overall fitness needs and the suitability for your home gym. When it comes to gaining muscle in the legs the leg press is a relatively safe and secure method to use. Leg press machines can rapidly help develop your quadriceps, hamstrings, gluteal muscles as well as the calves. Through foot placement different muscles can be activated and worked. By walking your feet up you will work the hamstrings and gluteal muscles more. If you walk the feet down your quadriceps will be working more. Lets examine the muscles that a leg press will target. When pressing or extending the quadriceps or the muscle in the front of your thigh engage. This includes the rectus femoris, vastus medialis, vastus lateralis and vastus intermedius. When you bend your knees and contract the hamstrings begin to work and include your biceps femoris, semitendinosus and semimembranosus. In addition to the hamstrings the gluteal muscles which include the gluteus maximus, gluteus medius and gluteus minimus also assist in the bending of your knees. Like every workout machine be sure you are familiar and trained in how to use it properly. Leg presses have a safety catch which means you can easily stop the machine from moving back if your legs fail. For this reason, leg press machines can be much safer than say free squats if you don’t have the strength just yet. The safety feature also allows you to push your legs to the limit with maximum weight until failure without having to worry yourself or potentially hurt yourself. Another safety disclaimer. This is applicable to all our reviews, be sure to warm up adequately before lifting any sort of weight! 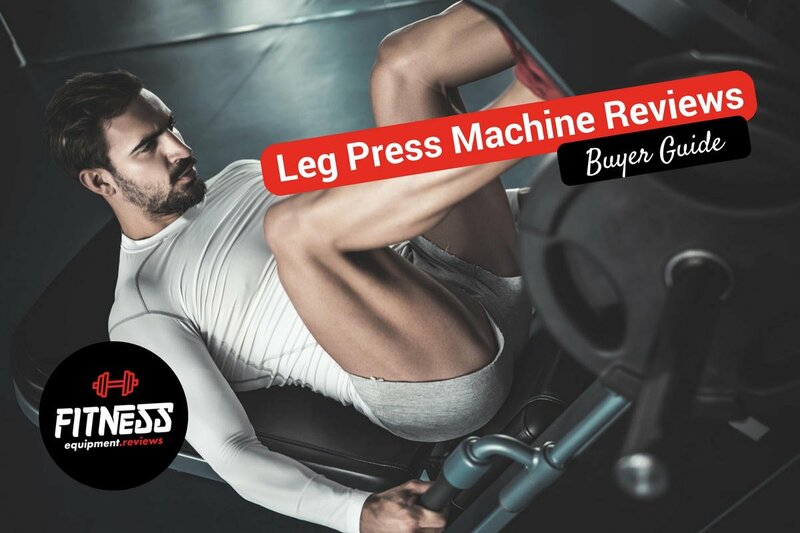 Let’s delve straight into the best leg press machine reviews. There are many to choose from but finding the right machine for your budget is possible! 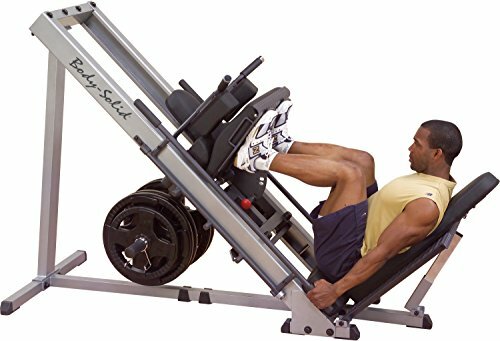 The Body Solid Leg Press & Hack Squat is a popular machine and has many great features making it so. While it would be ok for gym or commercial use it is predominantly used as a home machine. Roller system uses a quad track system to evenly distribute the weight. Maximum weight capacity of 1,000 pounds. The DuraFirm material is comfortable to use – it is 10cm thick and double stitched. 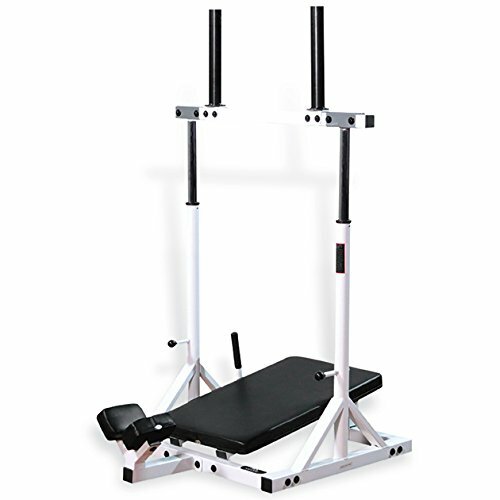 The frame of the Body Solid Leg Press & Hack Squat is extra heavy duty with 2″x4″ and an 11gauge steel frame. The frame has been designed to minimize torsional flex. The dimensions of this machine are 210L x 88W x 142H which is pretty large but this is a solid piece of equipment. Designed to be set up and more or less stay in the one position. As an entry level leg press machine the Body Solid Leg Press & Hack Squat is a popular choice. If you are looking for something that you find in the gyms then I would suggest a different machine. 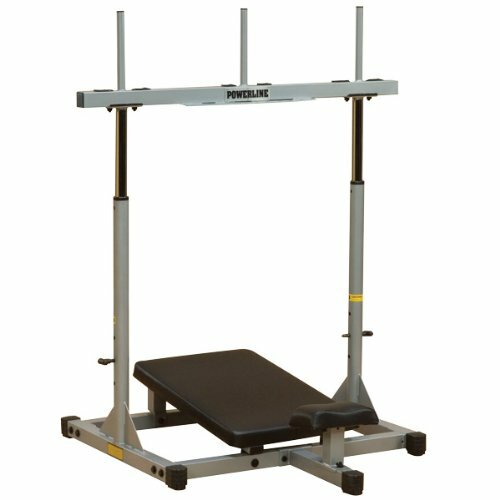 If you are looking for a basic leg press that you can use with ease then this is a good choice. The BodyCraft F660 Leg Press has been designed to endure the toughest workouts. Built with heavy gauge steel and industrial grade linear bearings this machine is sturdy. A great feature of the BodyCraft F660 Leg Press is the footprint – 39 by 79 by 50 inches (W x H x D). 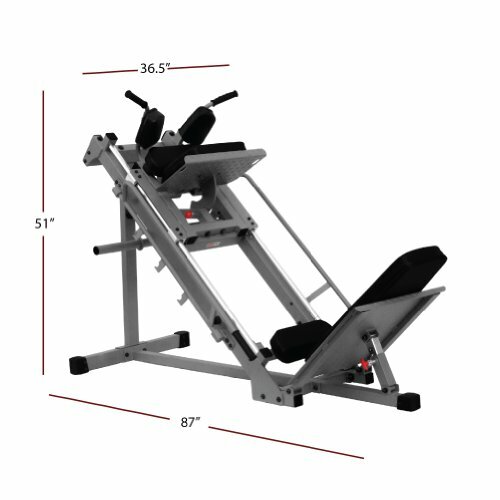 The industrial grade materials used with this machine make it stand out above the rest, it can be used for commercial purposes and also for the home gym. The adjustability of this machine makes it possible for all users and one can complete a variety of workouts, calves, quads, hamstrings, glutes through the adjustment of foot platform. The BodyCraft F660 Leg Press comes with great customer feedback, we are yet to hear of any negatives associated with the machine. If your budget allows, you won’t be disappointed with this purchase. The Weider Ultimate Body Works works using body weight as resistance meaning workouts are not only limited to legs. In fact you can do over 50 different types of body shaping exercises. The Weider Ultimate Body Works has been designed to easily fold down and store when not in use. Assembled the dimensions are 71″ x 26.5″ x 49.5″. This machine is great for those looking to get into a routine, tone and build muscle without having to use weights. The main advantage of this machine is the low price and affordability! Overall the Weider Ultimate Body Works is a very popular home equipment machine with many satisfied customers. If you are looking for a home workout machine without the hefty price tag then consider this option. Resistance bands can provide a very intense workout. If you are wanting a weighted leg press specifically then this won’t work for you. The Premier Vertical Leg Press is a heavy duty leg press machine built to handle standard and olympic sized plates. While a vertical leg press isn’t for everyone, read on to see if you find it suitable for your needs. The Premier Vertical Leg Press is a sturdy, steel tube construction leg press machine. Assembled it is 49″W x 47″D x 75″H and has a total weight of 200 lbs. Near commercial quality the backrest is well padded and comfortable to use. A smooth machine to use- don’t over tighten the bolts as it can become sticky and a bit jerky. The safety catches and the weight carriage work well together to provide a smooth yet stable leg workout. If you want a vertical leg press, the Premier Vertical Leg Press is it. With a lifetime warranty the buyer has peace of mind with any issues that may come up. The Yukon Fitness Vertical Leg Press is one of the cheaper models on the market yet still has some great features. While the maximum weight capacity of the Yukon Fitness Vertical Leg Press is 600lbs and much lower than the previous leg press machines you will find for a vertical press, 600lb is more than enough. Product dimensions are 68″H x 40″W x 43″ and it is manufactured with heavy 12 gauge 2″ x 2″ steel tubing. This is a relatively narrow machine which makes it easy to store in the home gym or dedicated workout area. If you don’t have the budget but want a vertical leg press the Yukon Fitness Vertical Leg Press is the answer. There are many great features of this machine so it is worth looking into. An ideal leg press machine should have adequate padding. This one from XMark has the right cushioning to ensure you are comfortable during exercise. The leg press machine has a sturdy steel construction which is designed to ensure it lasts a long time. The frame is sturdy to withstand the weight and works well with a weight limit of 1000lbs. This includes the body weight and the lifts for leg presses. Each part of this leg press is designed to last and suitably hinged for maximum function. Overall there are four settings in backrests and foot boards which allows comfort as you exercise while making sure you get the most out of your workout. More on support, the leg press machine feature padded dual shoulder braces. When pressing, the shoulders bear much of the weight, so it is essential to have the right cushioning. The back pad and headrest are also padded to ensure the entire body is safe during exercise. The leg press is bolded on non-slip feet to ensure stability when working out. Also, the non-skid features of the feet prevent damage to floors when working out. This feature makes the leg press suitable for use at home without worrying about the type of surface you have. It needs installation but does not need plenty of maintenance to function well. This home leg press machine is suitable for people trying to get the most out of leg workouts. It is highly effective and is easy to operate. It is recommended for its flexibility and durable construction. As much as building leg muscle strength is essential, it is crucial to focus on total body strength. This home gym machine from Powerline is ideal for unlimited exercise at the comfort of your house. This home gym is a multi-functional machine to help you reach your fitness goals not only for your legs but the entire body. The design of the machine allows different sizes of users and works well by providing different motions. It is engineered for total body workouts and gives you the freedom to structure workouts based on your needs. The machine has low, mid and high pulleys which give you the opportunity to enjoy a variety of exercises. 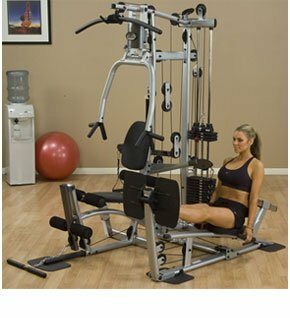 The leg press is integrated into this multi-gym machine and is useful with any weights that you choose. It has comfortable pads on the back pad and headrest for comfort as you work out. The best part is that it also incorporates arm presses which are essential for building muscle strength. This machine has a 160lb weight stack included. For more resistance and strength training, you can add to 210lbs for an effective workout. It has an intricate design and might need quite some time to put together. But, with the instruction manual, you can follow the step-by-step guide to install each part. It is versatile, and you can use it to reach your goals. This home gym by Powerline with a leg press machine is ideal for people looking for multiple-function equipment. Although it can be a challenge to put together, it is highly functional and practical for different exercises. An ideal leg press machine should provide a high weight load for unlimited exercises. The Powertec press is a great example and works efficiently to ensure you get the best out of it. 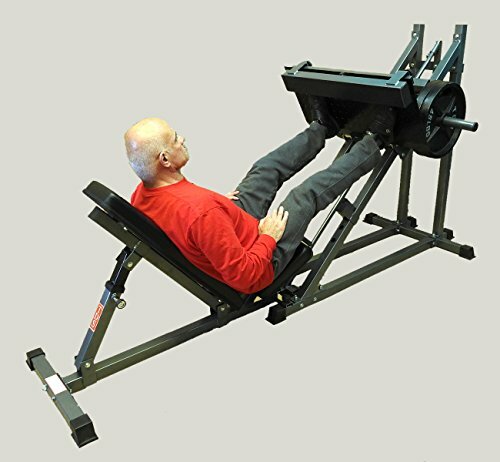 The Powertec Leg press machine integrates a carriage system that allows smooth operation for effective weight training. It has a sturdy construction to ensure it delivers to the promise and last a long time. Each part of the leg press machine is carefully hinged and bolted to provide a solid structure. Additionally, the materials are of high quality to withstand regular use and retain the functionality. The home leg press machine has a high-tensile strength footplate. This is driven by a roller system which works with bearing-driven nylon reinforced wheels. These maximize on motions while stabilizing your resistance for effective presses. Also, the bearing motion together with the sturdy wheels enhances the stability and smoothness for a hassle-free experience during exercise. It has a maximum weight load capacity of 1000lbs. This feature makes it suitable for everyone without a limitation of the weights to choose. The leg press machine has safety levers on each side of the reclining bench. These add on to the stability as you press and also enhance the safety of using this machine with a higher weight load. The Powertec leg press machine is a suitable choice for home workouts. It has a solid construction and has the balance all through the exercises. It is recommended for its easy assembly and the smooth bearings. Grey with Black Powder coating finish. Large diamond steel plate - 32" x 16"
The quality of the leg press frame is one of the factors you should consider. This cheap mini leg press from PDS is an ideal choice; thanks to the solid structure and premium material selection. The leg press has a steel construction that is properly polished for durability. The frame has a black powder coating finish which gives it a smooth look and protects the metal from abrasion. The steel used is of commercial grade to withstand regular use and retain the strength for a long time. Each attachment is safe and reliable to prevent breakdown with a high weight load. The leg press has a 3-position safety stop on 2″ centers for better stability and balance. Also, it features a 3-position carriage stop for active workouts. The incline bench used for this leg press machine can be removed. It can incline to three different positions to give you more room to increase the intensity of your workout. 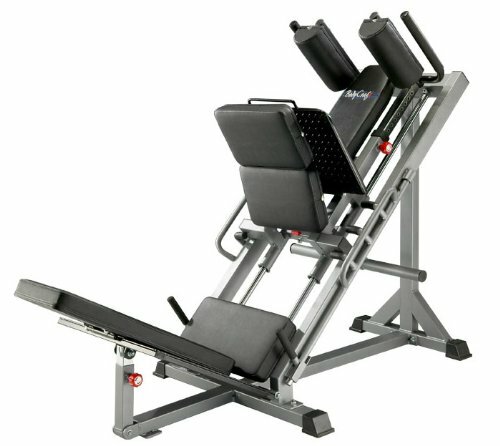 This feature makes the leg press suitable for starters that can advance to a difficulty incline level. The carriage features deluxe padding to ensure you are comfortable in an inclined position. It is mounted on eight steel rollers for improved motion. The rollers are chrome plated to ensure they are protected and can last a long time. The leg press needs installation and works for everyone regardless of the size. It is a suitable home gym addition; thanks to its simple design and ease of use. This leg press is ideal for light to heavy leg exercises at home. It is recommended for its sturdy construction, size, and comfort. 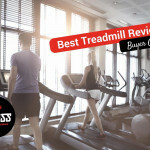 If you need a machine that provides essential exercise at home, then this one from Fitness Factory is an ideal option. It has integrated mini-machines which work for total body exercises. This machine includes an ergonomic press arm, an upper, mid and a lower pulley. It also includes a fully functional leg press for your leg muscles strength building exercises. With this machine, you can work out every muscle of your body or choose to focus on the individual parts. It is highly effective for multiple uses and suits people looking for a multiple function machine. Made of steel, it has a quality finish to prolong the lifespan of the frame. 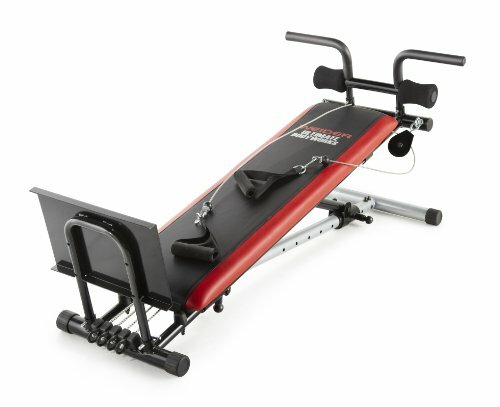 It has a broad base, and that adds on to the stability of the machine for multiple exercises. The back pads, headrests, and footrests are cushioned to ensure you are comfortable in any of the exercise your choice. The handlebars work well with arm exercises to ensure you have the balance. This home gym has stable feet with anti-slip pads. These ensure the machine has a soft landing on the ground and prevent damage on the floor surface. This feature gives the machine an upper hand for use at home regardless of the kind of floors you have. The machine comes with 160lbs stack of iron plates for weight lifting exercises. This multi-gym is an ideal choice for basic exercise. It works in multiple modes and has an efficient leg press. It is recommended for its robust and high-quality construction. If you are looking for a vertical leg press machine for a more challenging workout, then this Powerline one will deliver that. It is built to provide the right support and still challenge you to work out your leg muscles. This leg press machine comes in a sturdy and stable construction. It is made of a heavy duty steel frame and nylon bushings for smooth operation. The machine works well to isolate the lower body muscles by providing a more challenging workout as you push up. This one delivers long lasting results with a consistent workout routine. The vertical design provides support for your hips and back for a comfortable position as you work out. Also, the design makes it useful in tight spaces for workout and storage. The machine has the desirable cushioning to ensure you are comfortable all through. It has a thick back pad and a contoured head and neck pad to get you in proper position before you press. The comfort encourages a better workout and motivates you to work out even longer. 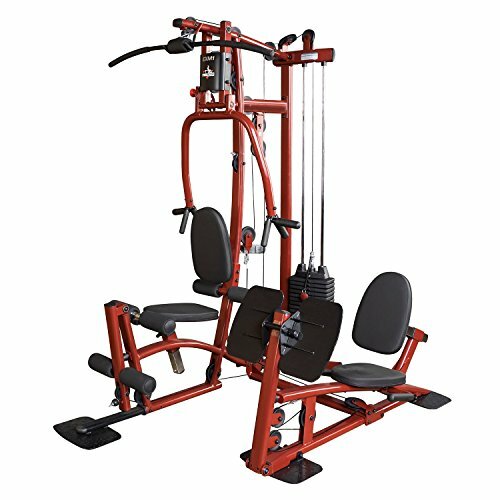 Some of the outstanding features of this leg press machine are the dual adjustable half inch locking pins, three stopping and starting points and a diamond plate steel press for non-slip control as you exercises. The 1” standard plate allows you to take on a challenging workout and advance as you get used to pressing. With the 400lbs maximum weight capacity, you can structure different strength workouts to suit your needs. This vertical leg press machine is ideal for home workouts. It has the solid construction needed for progressive presses and is well-finished to last a long time. It is recommended for its compact size and the stability while working out. This type of leg press machines requires you to a different movement with a direct drive. This type is the easiest to use because the mechanism is parallel to the ground. Depending on the design of the machine, the weight could be at the front, underneath or behind the back pad. These leg press machines are suitable for starters and light leg exercises. 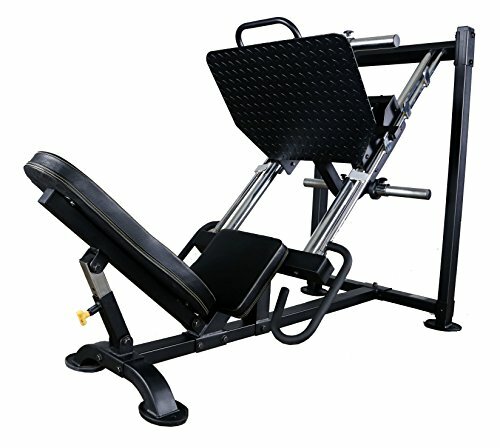 This type of leg press machines has a seat that inclines to 45 degrees, so you are slightly off the ground but not completely on the vertical position. The leg press has a weighted system that is controlled by an incline mechanism. When using this leg press machine, the knees form to a 90-degree angle to the body. Then, you push the weight at an angle as you remain in a sitting position. This leg presses have a unique design to maintain the right support for your hips and back. The weight is lifted upwards, and this makes them suitable for small spaces. This is because they take little floor spaces since the weight goes up vertically. Among the three types, these are the most effective with consistent exercise since they provide maximum resistance. When starting, you should consider using little weight and build up as you progress. The first step is positioning the body by resting the head and back comfortably. Then, place your feet on the footplate and ensure the heels lay flat. The legs should form an angle of about 90 degrees for a safe position. The knees should be in line with the feet; not bowed inward or outward. This is the position you should maintain when pressing to ensure safety. Your bottom should lay flat on the seat the entire time to ease of the pressure from the leg muscles when you push. As you press, ensure you hold the assist handles provides. These will give you the right support during movement and help to keep the spine in proper alignment. Also, the handles help to keep the head in place as you press and add the balance to ensure the knees remain in line with the feet. The material of the leg press machine frame should be sturdy to withstand the heavyweight and repeated motion. Steel works excellent and has the required strength. The frame should be polished for added durability. The design depends on the intensity of the workout you aim for as well as the space available. The size of the leg press machine you choose depends on individual sizes. Tall people require bigger leg presses that short ones. But, the ones with a height adjustability feature work well for anyone. Also, the size you choose depends on the design you want and the space available. Generally speaking the more weight you want the machine to handle the more sturdy and larger the machine. It is also important to think about the space or area you are going to dedicate to the equipment. Once it is assembled of course you can disassemble it and move it but that can become a tiresome task. Leg press machines, like other equipment, take time to assemble. However, this depends on the design of the machine and the availability of instructions and tools. Therefore it is crucial to confirm the availability of instruction manuals and other helpful resources on how to install. This factor is geared towards the seat, back, and head pads. Ensure they are all padded and are of a reasonable size to ensure you are comfortable. Also, the footplates should be adequate to ensure you are comfortable as you press. Ensure the leg press machine has moulder or polyurethane pads on the areas which are in contact with your body. Why polyurethane pads? This type of material does not get affected by body contact and sweat which can cause a bad smell, then dry out and lead to cracking on some equipment. Choosing a functional home leg press machine takes much into consideration. The top factors to consider are the structure, size, and design. For long-term benefits, the leg press machine should have solid construction and a stable base. You could opt for home gym equipment with integrated leg press for additional exercise. The most important thing is to ensure they meet the minimum quality standards. Leg press machines are a must have in your home gym and there are many to choose from! The products included in this post are all good so finding the right one for your needs is made easier.